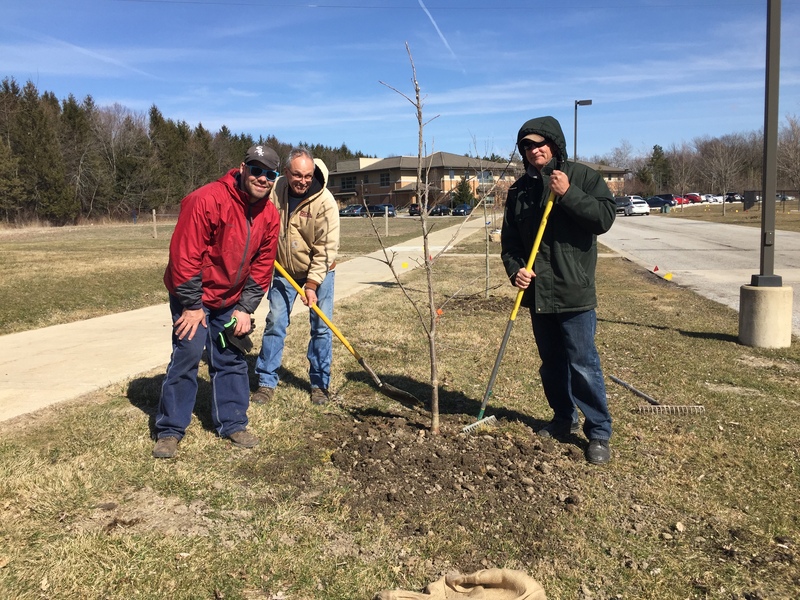 Schererville, IN – Campagna Academy is excited to be a grant recipient from Northwestern Indiana Regional Planning Commission’s CommuniTree program. The grant will provide 35 trees that will be planted on Campagna’s 47-acre campus in Schererville. “Our clients with intellectual and developmental disabilities will be working with Campagna’s partner, Planting Possibilities, a local non-profit that will train and supervise our youth as they plant the trees on our campus. Volunteers from Planting Possibilities will be working side by side with our youth – from the delivery and planting of the trees to nurturing them. Our clients will also receive several hours of classroom education, as they learn about the different species of trees that have been donated,” shared Elena Dwyre, Campagna’s CEO. “This award highlights the meaningful benefits to youth through our ongoing collaboration with Campagna Academy,” shared Mark Neiner, Executive Director of Planting Possibilities. About Campagna Academy: Campagna has been restoring hopes and dreams in at-risk youth for over 70 years through residential programs that include I/DD for youth with intellectual and developmental disabilities, Open, Secure, PRTF, as well as IOP Substance Abuse Treatment, Day Treatment, and Therapeutic Foster Care. For more information about Campagna Academy’s life-changing programs please visit www.campagnaacademy.org or call 219.322.8614.